Art Horn: a remarkable statement from NOAA | Watts Up With That? For detecting climate change, the concern is not the absolute temperature — whether a station is reading warmer or cooler than a nearby station placed on grass — but how that temperature changes over time. The root of the problem? NOAA’s network for measuring temperature in the United States has become corrupted by artificial heat sources and other issues. These problems introduce warm biases into the temperature measurements that are then used by the government and others to support manmade global warming. So as a reaction to criticism about these problems … NOAA now claims that the accuracy of the measured temperature no longer matters! Are they truly saying the accuracy of the temperature readings don’t matter? Yes, they are! But why? The NOAA climate measuring network is so broken there is literally no way to fix it. Reacting to criticism of this annoying fact — and to cover up its significance — NOAA now says accuracy simply doesn’t matter, the temperature reading itself is not as important as the trend. This is clearly a deceptive political statement meant to distract the reader from the truth. Of course the accuracy of the temperature reading matters! Temperature changes of tenths of a degree are being used to justify dramatic policy directives by the Environmental Protection Agency, dictums that would profoundly alter life as we know it: taxes levied on virtually anything that produces carbon dioxide. But it’s not only the accuracy of the temperature that is in play. If the temperature readings are off by a few tenths of a degree, this could significantly affect the longer term trend as well. If the temperature trend starts from an artificially elevated reading, the end result will be an artificially inflated measure of any global warming. The slope of the trend itself could be exaggerated by inaccurate temperature measurements. So what exactly is wrong with NOAA’s temperature readings? [For the lower quality stations 3 to 5 there must be] no artificial heating source within 10 meters (33 feet). The integrity of the site as a reliable climate measuring station is completely dependent on these criteria. Is the government adhering to its own standards? In a landmark 2007 research project to determine the quality of the United States climate measuring network, meteorologist Anthony Watts set out to get some answers. He recruited more than 650 volunteers to photograph the climate stations around the country. What they have found is astounding. A full ninety percent of the United States climate measuring sites do not meet the government’s own criteria for accurate temperature measurement! Again, that number is ninety percent. June 12, 2010 in Climate data, Uncategorized, Weather_stations. There’s a report in this week’s New Scientist saying that we don’t properly know how the Sun affects climate yet. Given that the sun’s quite big and most people can see it and feel its effects, if we’re not sure of its effects on climate, perhaps we should be concentrating on sorting this out and not resorting to climate stations, some of which are placed specifically to give high readings. But I suppose you can’t programme common sense into climate-change models. That “remarkable statement” is just a straightforward description of temperature anomalies. Do you have data showing that in general they don’t work? enjoy the trip! Looking at the photos I’d be more concerned about the protection from wind rather than the artificial heat sink. It looks like the station is guarded by all directions. Accuracy doesn’t matter just the trend. PNS at its best. Nice to see the sun out in Sydney. As Anthony pointed out before, the Observatory Hill observations are not relied on by the BOM for climate analysis. And again, this information will be available to less than 1% of the population of the US who bother to go and look for it at places like this. Until the “push” media picks up the story, most Americans are going to believe it is some sort of fringe story not worth noticing. The vast majority of people in the US know nothing beyond the “news” that is pushed into their car radio at commute time or appears on the TV. That the US climate is being measured by faulty stations is not “news” as it goes against the agenda of the owners of most media outlets. A media outlet publishes only that which aligns with the agenda of the publisher. So don’t expect your neighbor to ever learn about this or be educated as to its significance. If there was ever one photograph that laid bare a lie, it’s posted above. As I said before, these “temperatures” are the last refuge of scoundrels. Now it’s not even the T, it’s the differential dT/dt! Anthony, I know you are working on something falling out of the Surface Temps study. I hope, at some point, you can give us an annual “US average temperature” – you know, just like Hansen’s GISS does, smearing one reading over tens of thousands of square kilometers – based only on those stations that meet the specs listed above. If one station can make GISS’s entire Arctic or the Bolivian altiplano red-hot, well let’s see what a few “good” stations do for that most important chunk of the world – here, home, the good ol’ USA! We need to call these people on the propaganda they are promulgating. This is not a joking matter. They are trying to give every bit of ammunition – real or invented – to those who would wrest freedom from our hands. They claim that the absolute temperature doesn’t matter then “adjust” warming into the temperature record. Note that while equipment changes should even out [ + & – ] all UHI adjustments should be down. It looks to me like the chart shows that in 1900 0 ° F is added to raw temperature while in 2010 5 ° F is added. I have proven to myself that UHI adjustments have not been done in Dallas. Has it been done adequately anywhere ? Anthony, have you published your data on which sites do and do not meet criteria? It should be straightforward from there for anyone to test your hypothesis that below-criteria sites yield steeper trends. Welcome to the land down under Anthony. I hope the Australian public at your meetings extend to you the sort of welcome that the American people extend to Aussies in the USA. ! Your team are doing a great job. You didn’t expect them to actually SUBTRACT the UHI, did you? Instant Global Warming, just add fudged data. If I were to follow thier lead, I should drive around town with a USB data logger stuffed in my car’s tailpipe. What do you think the temperature is anonymous person? How do you propose we measure it? Only the trend would matter, if there had been no changes in siting or nearby UHI. I.e., if a station had consistent characteristics, it could be “off” by any number of degrees. But, if the stations have inconsistent characteristics, and the later characteristics are biased toward warming, then the warming trend will be exaggerated. Horn’s statement implies, indirectly, that the only stations that should be used are very rural ones with as consistent a siting as possible. To paraphrase Shakespeare: First to go are the lawyers climatologists. That’s just obviously true. Tautologous, even. Anthony Watts has been cataloging surface stations for a long time, now. Anthony – This remarkable statement appears to be designed to cut your coming paper off at the pass. This technique is standard operating practise for the Conservation Biology gang so I would expect the same from this gang. The problem is, of course, what trend? Real science would demand to see the trend since each thermometer was as is. Thus they have actually created a problem for themselves because their older alleged trends are now obsolete. Not that that matters to the drivers of this project. Do you have any data showing that they do? 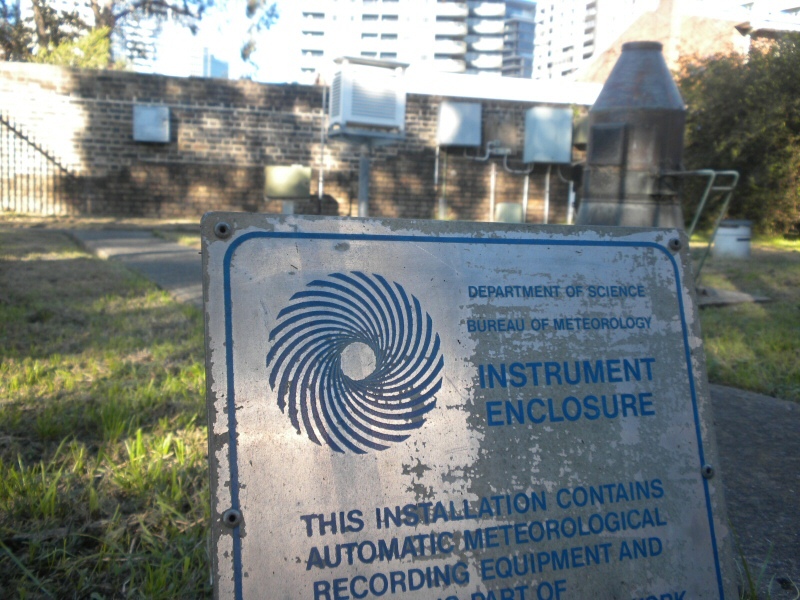 If temperature monitoring stations are established with a multitude of potentially biasing factors there is no guarantee, or even likelihood, that those biasing factors will all act in a nicely uniform fashion which would allow for them to be removed by a statistical correction and still leave a temperature signal that accurately reflects what is occurring in the vicinity. If the deltas of the temperature measurements are as likely attributable to variations in the biasing factors as to actual changes in the local temps there is no reason for any confidence in either the long term baselines or any anomalies calculated from them. It is a very cool (by Perth standards) winter morning and all stations lie within a circle of probably 50km radius or so… we have everything from 1.7C at Jandakot Airport to 12C at Pearce, let alone the 13.3C at Garden Island and 15C at Rottnest Island. So which of these should we pick to represent a grid square of thousands of square kilometres? I am a little concerned that you don’t seem to understand the problem. An anomaly is the difference between a single measurement (or yearly average of many measurements) compared to a chosen reference point. Not too complicated. Now, if the raw data is wrong – not “randomly inaccurate” or “imprecise” but simply and completely wrong because of bad instrumentation location – what part of the anomaly can be correct? If the entire century’s total temperature increase is less than 1.0 degree C, and bad instrumentation adds even 1 degree to 90% of the nation’s temperature records over the past 130 years, what part of the anomoly can be correct? Further, if the UHI for even small towns (under 50,000 population is 1.0 degree C, and as much as 5 deg C for cities (over 1,000,000) what part of a 0.1 degree UHI correction (which is all that Hansen applies) is correct? Anthony, once you have the Surface Stations report done and ready for release, I suggest a press conference with as much ballyhoo as you can muster (pre-announcements: “A startling revelation from a decade-long project: US temperature measurements don’t measure up! Global warming disproved!”). Wouldn’t hurt to have leaks ahead of time, too. As Crosspatch says above, you’ve got to make it ‘news’. What a steamy, aromatic pile of pungent horse****. If the temperature is not accurate then how can these pretend meteorologists know if their much-touted trend is accurate? Let me guess — if the trend is up it is accurate; if the trend is down it has to be adjusted to fix the error. 1) Set quality stations dozens of miles from any built-up area in the rural countryside, according to standard. 2) Hire a staff of prople to travel around assigned regions collecting this data (as a back-up to having it transmitted to a central site) and check on the condition of each station to ensure continued conformance to standards. Can’t fit them into the bloated budget? Move some of the office staff out into the field. 3) If real work doesn’t fit into NOAA’s paradigm then contract the data collection and station siting and upkeep out to a private firm. Bet they’ll do more with better quality and more cheaply. I think that if a site is bad and is not changed they might have a point. That wall in the picture however, had to cause a temperature spike whenever it was done. To lump this warming in with CO2 warming is sloppy or dishonest. The other trick they pull is to adjust the good sites to be as bad as the bad sites then claim that siting makes no difference. That is mentally challenged. The real boogieman is UHI and it changes from year to year. It is 99 % of the time going to increase with time and be more pronounced in small cities with rapid growth. It seems to be a fair enough sort of thing to say that all they are measuring is the changes in temperature though it could be that a poorly placed station might not do so accurately. If one gives them that anyway one would have to contend that they have no right to use these measurements in any calculations of the actual temperatures. Not to mention increased urbanisation (such as airport expantion, new high rise buildings) around these very thermometers. This says, perhaps a bit sloppily, that station placement doesn’t matter. The independence of trends from station placement has not been proven, and especially not under the conditions of moving, alteration, and replacement of stations during recent years. You took the bait, Gneiss, when you read the first clause. The second part is the hook, and there’s nothing “straightforward” about it. Gee we get sick of our visiting Americans cousins informing us how to do things. I wonder if BoM might be aware of urban influences – hmmmmm. I wonder if they’ve ever looked into UHI? I hope Anthony will be visiting all the other network locations on the map to give us an expert evaluation. And you’d better be worth the $25. Your stage mates aren’t. Absolute temperature is important, unless you have had the same thermometer situated in the same environment for the last thousand years or so. What matters is what the IPCC are quoting – Jones et al 1986 used Sydney data from 1859 as does the UKMO per their Jan 2010 station data release. Just one example of massive UHI contamination direct into IPCC reports. While you are mentioning the BoM – note that the ACT (Canberra) Commissioner for the Environment has had to in public – rub the BoM’s nose in the facts over urban/site issues re the Canberra Airport data – which the BoM does quote as a Reference Climate Station. So – do not assume the BoM are squeaky clean MikeA. I don’t think they are saying that it is not important to measure an absolute at each individual site, but that the difference between the two is not really that important granted all else is equal (ie no sig change at site throughout the record.). Of course it will be warmer at the urban site as it relates to a nearby grassland site. ‘Absolutely’ they may not be identical and are not necessarily expected to be. However, over time and all else being equal and no sig changes occurred to either of these sites surroundings one would expect their reconstruction curves to be similar…not their absolute values. Now if the grassland and urban temp constuctions have large differences in their curve/structure pattern, then we have a beef. If the grassland’s temp change in 30 yrs is flat and the urban areas is +1 and they use the urban site and ignore the grassland site then we can put up a stink. Especially if this urban or paved/cemented area increases it’s paved/cemented surroundings over that 30yr period. I think all they are saying is the temp diff between the two sites does not matter and I agree…one is urban…one is grassland; they shouldn’t be, right? For the record, my ideology on this entire AGW subject is right in line with yours, I just think you may have misinterpreted what they meant in this part of their statement. If the absolute temperature doesn’t matter, why measure it? I will enjoy the tap dancing. Yes well we’ve heard this before. It’s the anomaly stupid. But those who believe that, think the data is wrong in a constant fashion. It can’t be. The NOAA has a criteria for a reason, TO GET ACCURATE DATA. If the siting is bad, the data is bad and not necessarily in a constant fashion. A brick wall will heat up more on a sunny day of same temperature as that of a cloudy day for instance. Anomaly shnomaly, the data is unacceptable and shouldn’t be used for policy making decisions, period. CRN 2 on surfacestations.org has less stringent requirements for bbq pits than CRN1. Class 2 (CRN2) – Same as Class 1 with the following differences. Surrounding Vegetation <25 centimeters. No artificial heating sources within 30m. No shading for a sun elevation >5deg. I mean UHI is really basic right? Site 1 should show a significantly warmer temperature as it absolutely relates to Site 2 over this 100yr period, right? Now if the ‘Reconstructionists’ use only the urbanized data and ignore the grassland we have issues; and there are certainly issues with the surface data (understatement of the year). Using urbanized temperature data reconstructions is hazardous. Using said surface data to make trillion dollar decisions is suicidal. William Dawes was Australia’s first meteorologist (1788-91) and he set up camp on the spot where Anthony took those pics. His weather journal compared well with others at the time and Sydney appeared to be (by my rough calculation) a degree warmer than average. No heat island effect, so it must have been the strong El Nino driving temps up. Well, you can’t measure the change without measuring the temperature. It’s been measured for over a century by weather services, not climate scientists. And not for detecting climate change. Try some tap dancing yourself. For detecting climate change, why does it matter whether a thermometer is on a hill or in a valley? Or over grass or over bare ground? That’s just obviously not true, Nick. Come on, you had simple algebra didn’t you? They are not “concerned”, that’s the lie, the lack of concern for the truth. Any temperature time series are but a very complex function curve. 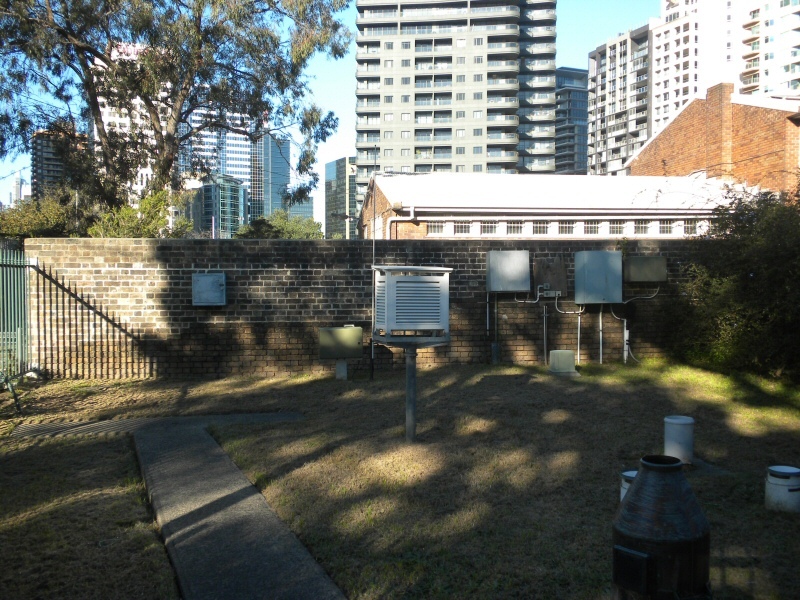 The only way that two temperature stations, one in the grass and one surrounded with brick walls or any other heat source would show identical anomalies is if the temperature curves over time are identical, they can have different absolute temperatures but the curves have to be identical, and that is never true, and the one surrounded by any heat source would always show warming if the every-hour readings are averaged. One the short scale it’s the diurnal problem of retained heat and on the year long scale it is that winter is affected more than in the summer which once again distorts the curve. The same goes for stations ever moved from pristine locations to surrounded locations. Same for stations that have buildings grow up around them. Of course the simple case above the absolute temperatures would vary, but that is not the problem, if the curves were identical, the anomalies would be identical. It’s the above situation I just stated that is the problem. The same distortion happens over decadal time series if the curves are EVER touched by adjustments that do not adjust every single data point in an identical amount and then never added to for the new readings would not include the adjustment. Yes ,that is a remarkable statement, I noticed and commented on this very statement about 3 months ago but had no feedback. Look at the first question and how they justify reducing land stations from 6000 to 1500, “modern technology has improved” and is now, wait for it “digitized”. The magic cure-all for the 21st Century. Welcome to the cold east coast of Australia, Anthony, the dog’s water this morning was frozen for the first time this year, this is a long weekend for the workers and the official start of the skiing season, 10cm at Falls Creek of natural snow (as they report now), but it is a start. Hello, NOAA? If poor siting exaggerates the absolute temperature, then it must follow that it also exaggerates the magnitude of any upward trend. The problem with NOAA’s statement,( “For detecting climate change, the concern is not the absolute temperature — whether a station is reading warmer or cooler than a nearby station placed on grass — but how that temperature changes over time.”) is that there appears to be no consideration of changes of the station siting over time. A station by a brick home in Boston can give a reliable trend over the time records are taken. A once rural station in Ohio, now surrounded by city and heat ducts would show site enhanced warming. A station in a cold drainage in a park moved to a warmer ridge would also show a spurious warming. The urban heat effect has been present since records began but the number of sites strongly impacted by UHI has been increasing as more recording sites are engulfed by expanding cities. The warming is further enhanced by the dropout of rural stations you have so elegantly demonstrated. There are other regional factors to consider such as land use changes. For example, the little town (pop.1000) I live in has not grown in the last century and its average temperature is lower than it was in the 30’s. However the amount of irrigation has markedly increased, decreasing the range of daily temperatures. NOAA clearly does not assess each reporting site for changes at the site over time. The NOAA page is truly jaw dropping, e.g. The most important difference in the U.S. temperature record occurred with the systematic change in observing times from the afternoon (when it is warm) to morning (when it is cooler). This shift has resulted in a well-documented and increasing cool discrepancy over the last several decades and is addressed by applying a correction to the data. I was not aware of this, apply a correction because of a spurious change of observation times ??? They also bag ship bucket water temperature measurement in favour of ship intake method and I clearly remember reading on WUWT that the bucket method was the measurement of choice in a detailed paper. By posting the statement in above, NOAA is basically saying they are NOT a scientific organization but a political organization. Can you imagine any other scientific discipline saying “accuracy doesn’t matter” & being taken seriously ??? What a joke! As a taxpayer, it makes my blood boil! As a scientist, it makes me nauseous ! What an outrage! Welcome Anthony. I see you have a busy schedule. I hope you get some time to enjoy the sights. Be prepared to freeze in Hobart. Don’t worry about spiders and snakes, be wary if your host offers you vegemite on toast. be wary if your host offers you vegemite on toast. From the replies, I get the impression that many folks have strong opinions about using temperature anomalies, but don’t actually know what they’re for. Is that true? Please excuse the biased media, the state run and politically correct head in the sand wether (pun for woolly sheep) scientists masquerading as climate scientists. A land of mixed up politicians, with opportunists preying on the gullible, who get quite nasty when someone is brave enough to expose them for what they are. It pays to have a thick skin here if you want to challenge those with a warmist agenda. You will be vilified, insulted, belittled and any attempt to introduce commonsense or good science will be ignored, sniped at, sneered at, sidetracked by those that control and have the ear of the media in this country to the point ,that you wonder how dumb some people are. Apart from that, I hope that you meet some wonderful and warm people that will not only take you to their hearts, but fully embrace and understand the message of hope that you bring to a growing band of Australian CAGW sceptics. That growing band includes some brilliant scientific minds, that will eventually break through the media “firewall” of warmist propaganda and obstruction. Beyond that there are many, the silent majority of older thinking Australians who know the warmist scare mongering is wrong, but they have been conditioned to trust the government and science and so torn between the two!! But make no mistake, that silent majority are waking up to the deceptions, recognising the agenda, the underlying corruption of science to support political objectives, and the great financial cost to each and every household should the warmist agenda prevail!! So I am sure they too, will make you welcome. Forgive the younger ones, they have been heavily brainwashed in a biased and clever “educational” warmist propaganda war, where emotion rather than truth is the selling point gaining their initial support for the most radical eco warrior mentality but, they too have the freedom here to think and learn, and if given the opportunity to question are bright and intelligent enough to inevitably find the truth for themselves. If you can be the catalyst for bringing that about, we are well on our way to restoring science to the trusted position it once held in this country. The weather here in Sydney is at it’s very best at the moment. Around 16-17 degrees arcoss all suburbs with full winter sunshine and low humidity. Oh yes, and about 1 degree higher at the official BOM site at Observatory Hill due to it’s siting issue and associated UHI from all that concrete and bitumen. Anthony, if you get a chance you should visit the new weather radar site at Terry Hills – about 10km north of the CBD. 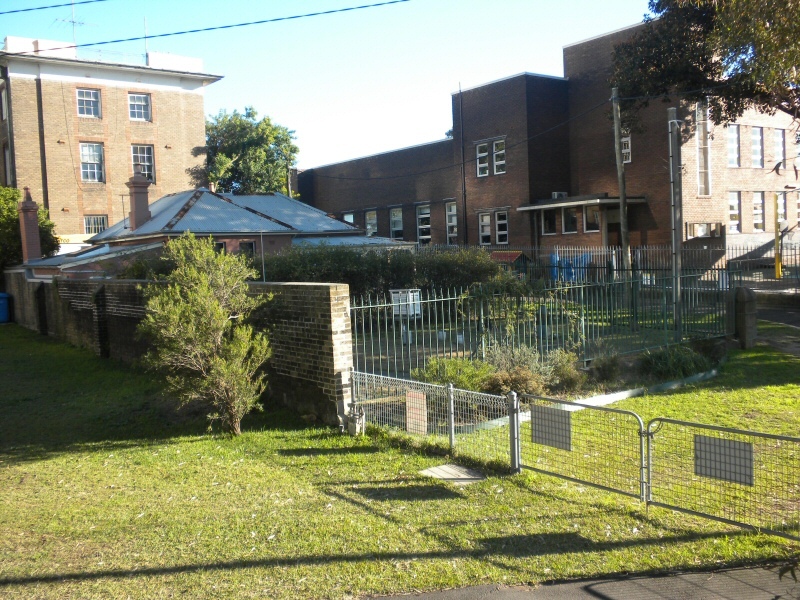 There is also an AWS situated nearby surrounded by lots of native bushland. It’ s generally about 2 degrees colder than the CBD due to elevation and less UHI affects. We know exactly what they are for, and we know many reasons why the NOAA’s simplistic foolish statement is 1.3 trillion dollars worth of dead (but politically corrupt (er, correct) wrong garbage. Please tell me – since you failed to before – exactly how a correct anomaly is calculated from corrupt data. We are quite aware of what temperature anomalies are used for, and how they can be abused. While absolute temperature does not matter when using anomalies, maintaining a consistent measurement process and resulting bias is absolutely critical. Check out this simple Youtube video for a simple experiment which anyone can conduct using GISS temp data which demonstrates the effect that NOAA is trying to discount. Already heaps of snow at Queenstown and Mt Hutt. The fields are open. So if you want skiing pop over to the South Island. Well Anthony – free speech and free thinking is alive and well in Australia – unlike your blog – we have a robust democracy. The scam being perpetrated by d… dis-believers in science will be vigorously defended against all enemies foreign domestic. I’ll be interested to see if there is anybody except retired geologists and pensioners in your audience. Wasn’t it Hansen who claimed he only needed a few thermometers to measure global warming? How is it then, GISS needs to make up numbers from the Arctic to get their “global” anomaly? I understand what you are suggesting, but I don’t think it is necessarily the case. Perhaps we could rely on the trend alone if, in addition to consistent siting and characteristics over time, we could also be certain that the siting characteristics would not influence the trend. IOW, it is not necessarily the case that poor siting characteristics would influence the temperature in a simple linear fashion across the board and across time. It seems to me that part of the point of having good siting requirements is that there is greater comfort/evidence/experience that a well-sited station has the best chance of not introducing a spurious impact on the actual temperature reading. As soon as we depart from those good siting characteristics, we have introduced a significant unknown, not just to the temperature, but to the trend. In order to use anomalies, one must necessarily assume that the underlying data is accurate, at least insofar as it purports either (a) to be the “actual,” or (b) to be a consistent and reliable step away from the actual. If you admit that you don’t have the actual, and if at the same time you can’t confirm that the data you have represent a consistent and reliable step away from the actual, then you don’t have good data to work with, period. Pretending that you can use the anomaly “data” rather than the “actual” is nonsense. Why not? Replace all the numbers on a thermometer with a uniform scale and note the differences from day to day; month to month; etc. No actual temperatures are taken but the variation could still be measured. Simple algebra? Yes, I’m very good at algebra. But this is elementary logic. Climate change -… temperature change. Get it? They’re related. One is a measure of the other. They aren’t saying they’re not concerned about accuracy. That’s ridiculous spin. Apart from anything else, you can’t measure change without measuring accurately the underlying quantity. Every site has something different. Some are on hill tops, some in valleys. Some get sea breezes. But if the climate changes, they’ll all be affected. And it’s the change that you need to focus on. That’s all they are saying. It’s good to see luke and Nick here; the problem seems to be that UHI or poor siting or whatever effecting absolute temperature is irrelevant because it is the trend which is important; this is of course nonsense: UHI will change the trend, that is what it does. Tamino also had a shot at this issue. Tammy said that Watts and D’Aleo are stupid for asserting that by getting rid of colder, rural stations NOAA has produced a cooler temperature trend; if indeed that is what D&A did assert they would be silly; what they did say is that by getting rid of the colder sites the average temp over the whole site range would be warmer; nothing about trends. Now the GMST is the benchmark of AGW; people can gesticulate and hand-wave about trends but if the temp, the GMST, is warmer then you have an argument which supports AGW. And that is what removing the colder sites accomplished. Tammy side-steps this by putting up a GISStemp graph showing no temp drop at the time of the removal of the colder sites; but this is a anomaly trend graph; it shows the change in temp of the remaining sites not the change in GMST created by the absence of the cold sites. Now Nick, why don’t you comment on Miskolczi’s new paper? Thanks for the tip. Looks like a return to ‘normal’. If the temperature trend starts from an artificially elevated reading, the end result will be an artificially inflated measure of any global warming. I think you either mean that “the temperature trend ends with an artificially- elevated reading” or “starts from an artificially-lowered reading”. A lot of commenters here are missing the point. It isn’t about REAL temperatures or REAL climate change. Temperatures only count when they can be cherry picked, homogenised and manipulated to show the REAL warming trend. Everything else is flim flam. Just like a 2003 heat wave in Europe, causing some deaths due to heat stroke, is absolute proof of Catastrophic Anthropogenic Global Warming and a stark illustration of why we need NOW to spend trillions of dollars / pounds to shut down cheap and reliable energy so we can change to enormously expensive renewables that don’t work. And the extreme cold experienced in Europe and Asia in winter 2009/2010 is just “Weather”. No one is letting on how many excess deaths that “Weather” caused. But can anyone doubt that we are safe in the hands of the pantomime horse Cleggeron we have leading our Government in the UK and their mate Buff Huhne? Or Obama and Lisa Jackson in the USA? Or little Kevin Rudd (the Genius of the Antipodes) down in Oz? Is this statement in the article right? “If the temperature trend starts from an artificially elevated reading, the end result will be an artificially inflated measure of any global warming. The slope of the trend itself could be exaggerated by inaccurate temperature measurements.” I thought that we would get an inflated measure of “any global warming” only if the record started from an artificially lowered measure of temperature. There has been a lot of writing about the way temperature records have been artificially lowered before 1961 as it is more difficult now with independent satellite readings. Maybe it is just me who cannot understand the statement. Here in Holland in the past, grapes were cultured against brick walls, though they were more strictly placed to the south then this one. Temperature is one aspect, and arguably not the most significant, of the planetary climate. Especially if you are limited to the essentially meaningless measure of global average temperature. If you were allowed only one source for daily weather information and one of your choices was a site that only offered none to reliable readings and forecasts of average daily temperatures, do you think you would consider that site as adequately providing all the info you required concerning the weather? 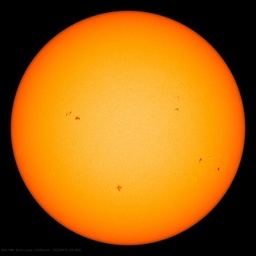 I do not find it on NOAA page. Many of the sites have changed with time. We have seen how a station is placed decades ago in a good location, only for that location to become urbanized in later decades. This produces the urban heat island effect – where a trend appears in the temperature becuase of urbanisation, not “climate change” and certainly not “man-made climate change”. Now, some wold argue that we can remove the effect using statistics. But there really is no way to do that without pollution the measuring process with assumptions. They main one being the a-priori assumption that there is a warming trend. It is the same problem with the Hokey (pokey) Stick! Was it not shown that even a random input of data into the algorithm produces a Hokey Stick? Nick, why are you soooooo worried abut such tiny temperature changes anyhow? This is what I don’t understand. Even if man cold heat the planet by a degree here or there, that is a tiny tiny change and we would barely notice it. Do you die every day? Do you die every summer? Do you die every glacial terminata? No. No. And no! So why do you think you will die if the temperature goes up by 1 degree celcius? NOAA is engaging in a nice fudge factor : it seems what they are saying is, that it dosn’t matter if a met site is subject to UHI as long as it is consistant over the period of observation, unfortunately very few airport or inner city stations have an unchanged envelope, old airports which started as grass strips and a few huts are now vast industrial complexes, and most stations in city gardens and reserves have seen huge changes to their envelope as multistory buildings go up. And that does not take into account all the sites that have been shifted from one place to another to suit the city fathers. Even in national parks sites have been effected by tree growth and buildings encroaching on the envelope. The reality is unchanged sites with 100 years or more of observation are increasingly rare making the whole concept of a true temperature or temperature trend for an area extremely problematic hence the “adjustments” being applied to create increasingly artificial figures with limited real value. International Geosphere-Biosphere Programme, Pg. 720-729.) . Have you ever thought of doing a short post here with a comparison of Australia-NZ with Japan in this respect? Good cameras too! Yes, Gneiss. We are too stupid to know that. Can you help us out? I’m too busy counting all the money I get from Big Oil to look into it myself. I had no idea you were coming even though I look at your blog a couple of times a day?? Anyway if there is anything I could do for you while you are here you have my email address. Any layman who watches TV weather can see that UHI is real. Daytime highs and Nightime lows tend to be warmer in the city than in the suburbs and surrounding countryside. We also have measurement data from WUWT and others showing cross section temperature changes as the probes are moved into and out of a metropolitan area. Passive solar considerations (buildings and pavement absorb heat and release it over time) would be a likely significant factor in UHI, plus all those people generating and leaking heat energy into their surroundings as they drive, cook, heat and cool their living and work areas. Heard an interesting off-the-cuff comment that ‘global warming seemed to really kick in’ about the time that Air Conditioning became widespread. That would certainly be true for the rooftop monitoring stations downwind of the AC exhaust (chuckle). I seem to recall that the significant movement in the anomaly temperatures has been from the Minimums being Less Cold. That would certainly fit with the passive solar affects from buildings and pavement reflected into the UHI data. 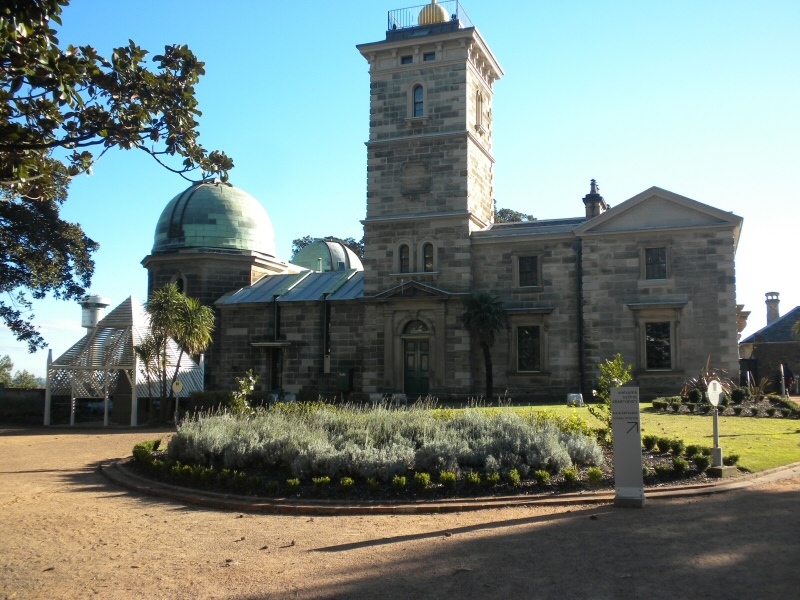 And the wall at the Sydney observatory as mentioned in this blog article. There are studies that show larger UHI affects with larger populations. Over time, as an area grows, one would then expect a larger UHI affect even at the same location. That would seem to contradict the statement from NOAA. So the question then is – what adjustments are being made to compensate for UHI? Are those adjustments the correct size and in the appropriate direction? The next time you read an alarming headline about global warming – remind yourself that the claimed affects on crops or lizards or whatever are NOT because it was hotter, but because it was LESS COLD at night. Why don’t you comment on Miskolczi’s new paper? by Ferenc Miskolczi, Energy & Environment, 21:4 2010. David Stockwell has commented over at Niche Modeling, but he’s got an author’s pre-print. That’s the problem. The size of the error bars on poorly-placed sites will be much larger than those of well-placed sites. And if the error bars are much larger than the anomaly you’re trying to detect then you really don’t know what you’re looking at. That would be true if the anomaly was more-or-less the same on all scales. But it’s not. Some areas get warmer, some cooler, at the same or different times. If one area on the globe shows an upward trend, how do you know that some other area which you’re not even measuring isn’t exhibiting a downward trend? Ed, even an assistant clerk in a patent office can be a scientist. But, yes, I agree, MBA is a far stretch. The whole concept of a global climate is ill concieved. Too many variables in different regions and too many areas for easy mistakes to be made(as we are seeing). Not enough monitoring stations here, too many there, placed incorrectly, outdated or no maintenance, altitude, which side of hill or mountain, on top of mountain, heart of major city, airport runway, moved, closed down. And this is suppose to give a reading globally? UHI is definitely an interesting topic and BoM do know a few things about it. Which is why one should not include it a serious climate change analysis – and they have said so on my link above. Why not focus on temperature analysis in the great many rural centres. El Gordo remarks about temperatures pre 1900 being higher but gee if we’re into UHI issues – those data were recorded in a Glaisher stand. That’s why. Farmers are perceptive lot of course and they have noticed a century long decline in frost frequency and the date of last frost in the Emerald (hello to Stockers) to Dubbo wheat cropping zone. So do we need thermometers to be told? Nature, Vol. 453, No. 7193. (15 May 2008), pp. 353-357. The ocean data sets themselves show an unambiguous centennial signal. e.g. Parker, D., C. Folland, A. Scaife, J. Knight, A. Colman, P. Baines, and B. Dong (2007), Decadal to multidecadal variability and the climate change background, J. Geophys. Res., 112, D18115. And while you’re here you should visit CSIRO and update yourself on the substantial changes being documented by Aussie researchers on more serious topics such as changes in the southern annular mode, Indian Ocean Dipole, El Nino Modoki, and importantly the intensity of the sub-tropical ridge. Not to mention a rapidly warming Tasman Sea and warming on our NE and NW coastal waters i.e. Lough , J. M. (2008), Shifting climate zones for Australia’s tropical marine ecosystems, Geophys. Res. Lett., 35, L14708, doi:10.1029/2008GL034634..
All playing havoc with our rainfall. I’m sure CSIRO and BoM would be glad to host you. That’s host not roast ! Because it’s undeniably true. The surface records are validated by the satellite records. There is barely a cigarette paper between the trends in any of the records. A ‘true’ trend can be detected using relatively crude equipment providing there are enough measurements taken at enough locations. The proof is seen in the the similarity of the different record trends over the past 20 odd years. Welcome to Australia Anthony. Not able to attent the Sydney meet on the 13th, which is a shame, but you do have a busy schedule which some wonderful sites, Noosa and Coffs harbour to name two. Personally, I’d give Canberra a miss, nothing but hot air down there (The home of Australian federal politicians). All the best, and I’ll wait to see if you get any coverage in the CAGW biassed Australian MSM. Nick, kindergarten lesson. If you wish to measure a trend, you need accurate absolute temperatures before the trend can be accurate. Tortology, even? As an Aussie, I might comment that it’s better than getting shot and mugged by semi-savage ******s who have made whole areas of some USA cities unsafe to enter. My aologies, Alex, if you were an Aussie joking. It is well known that Aussies taking the pi5s from Americans is a well-enjoyed habit. Anthony, I’ll meet you in Melbourne, night one. You’ll be safe. Because it’s undeniably true. The surface records are validated by the satellite records. There is barely a cigarette paper between the trends in any of the records. Yeah, it’s amazing what you can do with a few minor ‘adjustments’, isn’t it? It wasn’t too many years ago that people were arguing about the increasing divergence between land and satellite trends – it’s funny how that problem has suddenly ‘fixed’ itself. What would be interesting would be to compare the land and satellite data for the early part of the 20th century – oops, satellites didn’t exist then. What a tragic, ignorant statement. The BoM has recently reported on the last 11 decades of Australian rainfall. The decade ending 2009 was the second wettest in this record, but not by much. There was not a great deal of decadal variation in 110 years. How does this create “havoc” when you can’t even define “normal” because the observation period is too short? Maybe year 1252 was a havoc year, but I don’t know how much more havoc there was. Niether do you, nor the BoM. Is “havoc ” to become a new in-word like rigorous, peer-reviewed and unprecedented? There is nothing “remarkable” about the NOAA statement. It is all too typical of a national agency trying to keep its “public credibility” and annual budget funding in this day and age. One of the repercussions in the aftermath of the Great Cold War is that government will attempt to “maintain” itself even when the underlying reason has been eliminated. AGW is an excuse, a ploy, a sham, in order to convince the taxpayers that the services of huge government are still critical to winning the new war against “””Climate Change”””. The smell of decay in the wind is coming from the heap we built to win a long and expensive war, no doubt about it. Elect new representatives, downsize, cut budgets. These will result in real and major improvements — including scientific advances. And significant “changes” –for the better– in Global Climate. The only statement that we can truly make on climate from the majority of GISS/NOAA/CRU is that with larger airports/airplanes average temperature at airports has increased. Maybe not as new as you think. I’ve used the surfacestation site’s photos before, in a qualitative way, to check out specific stations of interest. In those instances the results were encouraging, and it’s handy that such a site exists. The project’s larger value should come from its database, when that is made public, because that should allow anyone to carry out their own analysis and test the hypotheses on all sides — such as those expressed on this thread. The surfacestations home page, with a 7/16/2009 update, says that an analysis will be forthcoming soon. I hope the raw data will be too. “Now at 80%, and with a majority sample that is spatially well distributed, a full analysis will be coming in the next few months. We will however continue to survey stations in the hope of locating more CRN1 and CRN2 stations due to their rarity. If it were just hills vs. valleys there would be no problem. Those can both be category 1 sites. The problem occurs when you have man-made artifacts near the thermometer. Even in NOAA's best-case scenario where nothing else is added, an artifact will need to be maintained, giving rise to different errors in the readings at different times, and thus in the trend. If the artifact is not maintained, that would also change the local microclimate from albedo change (the building gets dirty) or other factors (such as unrepaired holes in a fence changing the local air flow). In actual practice, most of the cat 3-5 sites have had significant changes in nearby human development over time, meaning NOAA's statement is misleading, if not flat out spin to gloss over their siting failures. The surface trend is about 0.5 C over a hundred years. A 'cigarette paper' difference of 0.1 C in 20 years is all that's required to invalidate the entire surface record. Do you suppose it was the same brick wall that melted the arctic ice cap enough for Amundson to sail the Northwest Passage in 1906? The passage didn’t open up again until 2007 and now it’s closed up again just like it closed back up 100 years ago. You seem to have a handle on the issue. Your assistance would be greatly appreciated. There’s more to life than a paycheck. Geoff is as mistaken as he was with his fertilizer post on Niche. The rainfall distribution statistics are self-evident and well studied – surely we’re not going to play the olde entire Australian rainfall statistic ruse? Surely we’re not going to substitute peer reviewed multiple diagnostic analyses for your “opinion”? It’s amazing what a 1/10th of a degree can do, isn’t it? But you well know that it does matter if, over time, the grass or bare ground got paved over, a new building went up near the site, and so forth. It seems to me quite likely that sites which today would receive a poor rating probably once were not as “contaminated” as they are now. And that matters. The satellite records don’t go back beyond 1979 which is the acknowledged beginning of a 30 year warming trend marked by the onset of the warm half of the Pacific Decadal Oscillation. The PDO appears to have tapered off and is right on schedule entering its cool phase. If the CO2 bogeyman is real there won’t be any cooling which, as far as I can tell, is a good thing as the last thing we need is shorter growing seasons. World hunger is still a big problem. A cooling climate would be catastrophic. A warming climate we can easily deal with and for the life of me I can’t see any net downside to it. The earth is still quite cold by geological standards which in the latest epoch has been dominated by ice ages with brief intermissions where it’s barely warm enough to green it up some. The average temperature of the world’s oceans are a mere 5 degrees C. This is the average temperature of the surface over a period of time including one glaciation and one interglacial period. The thermal mass of the atmosphere is a fraction of a percent the thermal mass of the ocean. If it weren’t for a thermocline which generally separates a warm (average 16 degrees C) top layer of ocean from the ice cold depths we’d be in an ice age. A certain amount of mixing of surface and deep water occurs driven by surface winds and a coriolis force oceanic conveyor belt. We are at the mercy of the amount of mixing to keep us as warm as we are now. CO2 greenhouse effect, what little there is, is a case of diminishing returns as the infrared absorption band of CO2 is approaching saturation at current levels. It isn’t enough to put a dent in the vast cold deep of the oceans. I think the vast majority of people here understand the difference between trends and absolute readings. So, what is the argument? Clearly, in a completely static environment the placement could be ignored. Now, all I need is for those who believe that all stations are located in completely static environments to raise their hands. Now, I realize there will be no takers even though this is pretty much what folks like Luke, Phil., Gneiss and Nick have been asserting. All one needs to do is consider a station sited near an air conditioner (this has been posted many time previously). The warmer it gets the more often the air conditioner will run and this would enhance any warming signal (or cooling signal). In addition, someone might just prefer cooler/warmer inside temps and adjust the thermostat accordingly. In other words, there is absolutely no way to determine if the TREND is valid with this kind of poorly sited station. Many other examples can be created that demolish the claim that siting is unimportant. The first device on the right (the brown metal cannister with the open-cone top) looks like an incinerator. I guess it must not be or Art would have commented on it. But what is it? If the proponents of AGW and the current state of temperature records would like to explain this away. Of course the Scandinavians must be wrong, it is only their dataset about their country’s temperatures. Plus of course it won’t affect the Global Temperature Trends will it? Likely a rain gauge with enough space inside for things like a narrow tube to measure small rainfalls mounted in a bucket to measure big rainfalls, and stuff to accurately measure what’s in the bucket, and a log book, various tools, snacks, bottles containing ethanol/water solutions, etc. Ironically, the NOAA statement actually is correct if one considers that the trend over time has been toward increasing corruption of the data through station movement and microsite biases. That is of primary importance because it adds uncertainty to the true trends and minimizes our trust in them. Not one claim of CAGW evidence of global catastrophe holds up under scrutiny. All that holds up is that CO2 acts to raise temperature some, all other things being equal. The public has wasted $billions and $billions of dollars promoting or solving a problem that does not exist. One cost of this misappropriation of resources is that the EPA, instead of being ready to deal with oil spills, has basically no ability-either in resources or management- to deal with its statutory responsibilities. In the informal discussion after the Sydney meeting, someone made the point that many people are now so sick of the Climate Change topic that they don’t want to hear any more from either side, or look at any of the figures. I suggested to Anthony that the solution, at least for Australia, was to get the bookmakers to open up for wagers on temperature predictions versus actual readings at the target date. Many would take a fresh interest in the subject if they could bet on it, and the punters who now spend endless hours researching bloodlines and race result records to place their bets on horses might go to it digging into the provenance of data and the veracity of unadjusted or adjusted temperature readings. Since people invest in ten year government bonds on the basis of their estimate of future rates, betting on temperature rise, ice extent or snowfall over a decade is not out of the question, and would average out the weather fluctuations. If betting on it won’t get Australians interested, nothing will. All we have to do is get the bookmakers interested. Anthony, isn’t that the other way about? From an artifically depressed starting temp, you’ll get a bigger trend? Apologies, I see Huub Baker already covered this point. Basil, what you’re saying doesn’t negate the NOAA statement. What matters for climate change is temperature change. It’s as simple as that. It’s true that when you measure temperature change, it could be partly due to some artefact. And you have to sort that out, as you do with any measurement. But all the NOAA is saying is that you have to focus on the right thing to measure. It’s actually more devious than that. No one is debating that sitting stations have become colder. They can only become warmer. But where is most of that warmer measured? Is it warmer in the summer days? summer nights? John Innes, that is a very good suggestion. It’s true that the average person is becoming jaded; but the vested interests and fanatics promulgating the end of the world scenario of AGW are still beavering away [apologies to beavers], implementing regulations and spending money – over $2 billion per annum in Australia – to “solve” AGW. Having a bet would push AGW out to unsupportable odds very quickly. Need we look any further? It obscures bad data and convinces even scientists that they have actual data instead of crud. It allows adjustments that are are conceptually fine, but lead to aphysical results. Yes – There isn’t too much wrong with a true anomaly method. The trend -is- the key factor. If you calibrate your equipment in a climatological sense you would know the relationship between the reading from the instrument and the gridcell T – with an explicit errorbar. As it stands, we have weather readings with no known relation to the gridcell temperature. And the error bars are for measuring the absolute temperature local to the actual instrument – not the discrepancy with the gridcell mean. When you propagate the “instrumental error” instead of the true error in measuring the gridcell mean temperature, you end up with a false sense of a very tight grip on the global temperature average. It has been raised above – “why be scared of a small change in temperature” – and fair comment – it is not the change in temperature mean that’s is the real issue. And GMST is merely “an index”. An Index ! Changes in mean – imply changes in extremes – but more importantly a reorganisation of atmospheric circulations patterns and perhaps quasi-periodic modes. As Australia is subject to episodic droughts – billions of dollars have been spent over the last 3 decades in drought aid; water allocation and growth demand are ever present – offered some temporary respite by recent rains – but as grandaddy used to say – water conservation stops when the tank stops overflowing. The next drought is always around the corner. The question is how soon and how often. For Cohenite worried about is his taxpayer contribution to Australian climate research – he should be pleased if modern science has uncovered ENSO, Modoki, IOD, SAM and STRi – so we have very good explanations that these mechanisms explain much of our rainfall variation. And can it be helped if that best science reveals an “anthropogenic” contribution – that’s contribution to – not 100% cause to our drought sequences. That’s what Australian climate science is about. And if you live in Australia – you should be glad for it. In little over a decade many farmers now factor ENSO into their farming and financial commodity hedging decisions. Lawyers don’t have to worry – they have air-conditioning. Maybe Australians can already bet legally online via London bookies like William Hill? If so, all that would be needed would be to publicize the fact, and/or to convince WH to add bets regarding Australian temperatures. Yeah sure luke, I’ll settle for a well paid government sinecure anytime, with or without the aircon. I have nothing against climate research: it is a good thing; but when that research is funnelled, diverted and corrupted by the constraint of confirming what is essentially an ideological position, AGW, then as a taxpayer paying for those sinecures I become a little irritated. The point is that a GMST will not reflect changes in the ERB and changes in the ERB may not be reflected in the GMST; the nexus between an upward trend in GMST and ERB is worthless; the paradigm of AGW has no meaning. Are they truly saying the accuracy of the temperature readings don’t matter? No. I don’t see how the statement begs the question. They touch on two different matters. ‘Accuracy’ is discussed elsewhere in the NOAA article. If you had 2 rural weather stations nearby each other – one in the shade of a 150 year old tree, and one standing exposed above bare rock (neither contaminated by urban influences), the latter will record higher temperatures. If they have not undergone station moves or other inhomogeneities, then the difference in absolute temperature won’t matter when deriving a trend. This is the point the quoted statement is making. Accuracy in terms of inhomogeneities do matter, and this is briefly discussed in the NOAA publication linked in the top post. Q. What are some of the temperature discrepancies you found in the climate record and how have you compensated for them? Over time, the thousands of weather stations around the world have undergone changes that often result in sudden or unrealistic discrepancies in observed temperatures requiring a correction. For the U.S.-based stations, we have access to detailed station history that helps us identify and correct discrepancies. Some of these differences have simple corrections. The most important difference globally was the modification in measured sea surface temperatures. In the past, ship measurements were taken by throwing a bucket over the side, bringing some ocean water on deck and putting a thermometer in it. Today, temperatures are recorded by reading thermometers in the engine coolant water intake — this is considered a more accurate measure of ocean temperature. The bucket readings used early in the record were cooler than engine intake observations, so the early data have been adjusted warmer to account for that difference. This makes global temperatures indicate less warming than the raw data does. The most important difference in the U.S. temperature record occurred with the systematic change in observing times from the afternoon (when it is warm) to morning (when it is cooler). This shift has resulted in a well-documented and increasing cool discrepancy over the last several decades and is addressed by applying a correction to the data. Q. Could stations located in potentially warmer locations near buildings and cities influence temperature readings? Yes. That is one reason why NOAA created the Climate Reference Network. These stations adhere to all of the established monitoring principles and are located in unpopulated areas. They are closely monitored and are subject to rigorous calibration procedures. It is a network designed specifically for assessing climate change. An effort is also underway to modernize the Historical Climatology Network of over 1,000 long-term weather and climate stations nationwide. Stations in the Southwest are currently undergoing modernization and maintenance through this program. Managers of both of these networks work diligently to locate stations in pristine areas where the dynamics of the immediate region, like urbanization, are unlikely to change very much over the coming decades. Q. How do volunteers affect the data from the network? NOAA’s National Weather Service field office personnel train volunteers and visits them regularly to provide support and ensure instrumentation is working correctly. If there are any inconsistencies or difficulties on the part of the volunteer, NWS personnel works with the volunteer to ensure that daily and monthly measurements are being taken correctly. NOAA’s National Climatic Data Center also provides data checks of the measurements, looking for discrepancies. Some of the volunteers have been working with the National Weather Service for as many as 50 years and more, and provide a valuable service to the agency’s and the nation’s weather record. Of course, the very general overview doesn’t answer granular concerns. But the argument in the top post is based on a misunderstanding of context, and strangely omits portions of the article that deal directly with the subject nominated – accuracy of readings. Fortunately, a link to the NOAA article is provided for the reader to investigate for themselves. So, will we no longer hear of any year being the warmest in (choose a period), as absolute temperatures are no longer important. Will this be replaced with “the largest anomaly in recorded history” or similar? That will certainly make it much easier to sell the message as I’m sure more people (us non-climate scientists) will understand anomalies far better than absolute temperatures. Sounds like another bait-and-switch to me, similar to ‘global warming’ morphing to ‘climate change’. Those who think the absolute temperature doesn’t matter, you should rethink the actual ways that the data anomalies are determined. (If E.M. has already commented, this might be redundant). First, every grid is smoothed (homogeneity adjustment to 250km) by the stations that are enclosed in that grid. If there are three poorly rated sites and no good sites, then the anomalous value should be a good indicator of the urban areas in that site. But, how much of the earth’s surface area within that grid is urban or rural? WTH knows!. Second, If there were good, rural sites within that grid included in the homogeneity adjustment in prior years that have been recently dropped, the data is again skewed upward. We know this has occurred with wanton abandon; http://chiefio.wordpress.com/ . Third, The data from a grid with poorly sited stations, once containing data from X number of good rated stations that have been dropped, is used to infill data for other adjacent grids up to 1200km away that may have had high rated station dropout with an unknown urban to rural proportion, which can then be used to infill another grid, another 1200km away, etc. etc. etc. We know this occurs; http://chiefio.wordpress.com/ . So, considering all the homogeneity adjustments, data infilling, and highly rated station dropout; in essence what we are measuring in the current surface data sets is an anomalous number representing the dropout of highly rated, usually rural stations. I don’t recall where the page was (My w/e’s are tipycally a blur with w/l) but, I think you, Anthony, definitely have a radio face! So SNAP! We find that in much of the middle and high latitudes, precipitation has systematically increased over the 20th Century. If infrastructure needs to be built to improve distribution of the increasingly available water, I’m all for that. Just don’t blame alarmist water shortages on CO2. If you really want to understand why the NOAA approach is a good one, pick up a textbook on fixed effects modeling.